"5G is an emerging technology that hasn’t really been defined yet. From what we currently understand, it likely differs dramatically from what we studied,” said Wyde. 5G (5th generation) range is estimated to be anywhere from 6 GHZ to 100 GHZ, which is dramatically different from the GHZ ranges of 2G and 3G. This report was released last November and there is a pre-existing thread on it. So I'm safe from rats So long as my phone is on? Nope. Your phone isn't powerful enough to affect rats. Everything causes cancer in lab rats. And cancer is the eventual failure mode of anything that lives long enough. 1. Physical mishap from external causes. Plane crash. Drowning. Wood chipper. Etc. 2. Biological mishap due to faulty or damaged components. Weak heart. Bad kidney. Immune system disorder. Etc. 3. Cancer. If all your organs are good, and you don't fall off a cliff, you'll live long enough to get cancer of some kind. You will get cancer. There will be some correlation to something in your environment when you do. Because there's always a correlation with something. Even if you cut yourself off from everything that correlates with cancer, you'd still get cancer. Everything causes cancer in lab rats. Especially lab rats bred to have a tendencies towards certain cancers. Then they are just measuring how quickly the expected cancer appears. And cancer is the eventual failure mode of anything that lives long enough. Agreed. That's why I never quit smoking. You gotta die of something, may as well look cool while doing it! 1. Smoking may very well hasten your demise. 2. Smoking may have looked cool in the 20th century. It no longer does. As discussed in the other thread there are a number of debatable and interesting issues in terms of interpreting the results (only male rats but not mice or female rats in the same study displayed a higher cancer risk from the cell phone signal, the current "almighty power" of the arbitrary p <= 0.05 threshold for calling things statistically significant, the implications of a high dose on a few rodents vs a lower dose on a big human population, etc). But lets say the study is absolutely correct and indicates cell phone use by people increases the risk of certain rare cancers. A point I like to raise: the cell phone user's chance of developing this type of cancer is still very small compared to much larger risk of any of the common cancers: breast, prostate, lung, colon, leukemias, etc. Eliminating cell phone use therefore does not in any meaningful way reduce your chance of developing and dying of a cancer. 40% chance of developing some form of cancer with no cell phone use; 40.01% chance of some form of cancer with cell phone use. IMO one should focus on reducing one's odds of developing the much more common cancers (avoid smoking, diet risks, etc) rather than get distracted about cell phones. The effort vs cell phone risk is just not relevant vs these other cancers for now; worry about it when the risks of the other cancers drop below 1%. And as first brought to my own consideration by a friend: people accept much, much higher risks in exchange for convenience. Driving cars is one example. Even at the level of risk the study indicates for cell phone use, the risk of injury from the convenience of using a bathroom is higher! Cell phone use: tiny risk and very convenient! I think that's a perfectly fine argument for 2G or 3G levels of EMF's. It's going to be a game changer with 5G. Silly me. I thought 5G was merely a digital coding change, same wave length, same power. 5G = Fifth Generation, it's a name, NOT 60% more energy than 3G. Silly me. Generally speaking when you see a quote of some scientist on an conspiracy site you should type that scientists name in google and find out what he really said. And then quote that. Tell them to move it into the conspiracy theory section. [quote=therival58;12644964]I think that's a perfectly fine argument for 2G or 3G levels of EMF's. It's going to be a game changer with 5G. I don't see any evidence that it will be a "game changer." The study in the OP already used higher than typical 3G levels that begin to approach the stronger intensity of some 5G exposure. And to quote the study: "the lowest exposure level used in the studies was equal to the maximum local tissue exposure currently allowed for cell phone users. This power level rarely occurs with typical cell phone use. The highest exposure level in the studies was four times higher than the maximum power level permitted." The other assumption by those concerned about the 5G rollout is that the higher frequencies in 5G must represent higher risk, but this has no evidence behind it. Sure, test it even though it is unlikely. But there is no experimental or legitimate conceptual reason for this assumption. 5G is far below the frequency of any ionizing radiation. Visible light is over 1000 higher frequency than 5G, but is non-ionzing and has no evidence of a risk; one must go to UV light, in which we are awash outdoors and 100,000 fold higher frequency than the highest 5G to find a true risk. No reason to think higher frequency at the range of 5G links to risk. Last edited by Giordano; 25th March 2019 at 03:19 PM. Cellphone power is measured in milliwatts - meh. You'll probably get more exposure from lying in your bed all night next to your mains-powered alarm clock. Exposure to RF radiation has to be sustained and at very high power before there are likely to be any deleterious effects, e.g. if you stand on front of a stationary Marconi S264 radar antenna, you're likely to be cooked from the inside out... 60kW of directed 50cm microwave power will do that to you. We also have to take into account the thousands of "small cell" 5G towers that will be installed in neighborhoods. In addition, IoT that will have multiple wireless devices compound the exposure. Side note: According to research done by Dr. Jack Kruse, the Russians were conducting experiments to show the deleterious effects of EMFs longterm in the 60s and 70s. Just to put this into perspective, a long haul truck driver who is using a CB radio get 5000 millivolts of microwaves to his head as soon as he uses the CB radio one time. Maybe now you see why they have a severe obesity and sleep apnea problem in truck drivers even today that is recalcitrant to normal dietary and lifestyle changes. It changes calcium signaling in the cell and brain to alter all cell signaling and distort time. As a result, they also have had massive increases in sleep apnea and suffer from low melatonin levels as an occupational hazard. Neither are good things for truck drivers to be afflicted with to work. This is so concerning that the National Transportation and Safety Board (NTSB) is considering banning cell phone use by truck drivers under the guise of driving while distracted. The real issue is the hidden health dangers of phase shifting of circadian biology by non thermal EMF. Today there is epidemic of disease in truck drivers and airline pilots. Both of these professions get massive amounts of environmental man made EMF exposure. I am sad to say surgeons do too because we work in an artificial environment where things are controlled by devices that run on EMF’s surrounded by artificial lights in the operative arena. As an American surgeon, it is no longer hard for me to distrust our own medical literature and cast it aside, when in our clinics, you see a tsunami of illness and death coming into your office daily and you just can not explain it based upon what we all learned in medical school. The Russians have been systematically studying EMF’s since 1933. I do not think we can afford to ignore what their data has warned us about, considering what has happened to American health just in the last 50 years. It is getting worse as we spend more on healthcare. Something is amiss, and we need to ask better questions. Several American researchers took Russian experiments that were hard to believe, and actually did reproduce the results exactly. When I read this, my heart just stopped. In 1971, in Poland, Zinaida Gordon and Maria Sadchikova of the USSR Institute of Labor Hygiene and Occupational Diseases identified a peculiar syndrome called “microwave sickness”. They all described chronic excitation of the sympathetic nervous system. This perfectly correlates with leptin resistance, in case you were wondering how I found out about it. The end result is chronic adrenal fatigue, ischemic heart disease, atherosclerosis, high blood pressure, high triglycerides and poor sleep. Many went on to develop diabetes. This also describes metabolic syndrome as well today. This is also why adrenal fatigue is a brain disease. Here is the not so funny part for us modern humans of this story. To prove they were right the Russians decided to raise the stakes. They irradiated our embassy in Moscow from 1962 to 1969 with 4-6K millivolts of microwave EMF. Their logic was if the Americans were so sure about the safety of non thermal EMF’s as they appeared in the New Mexican desert then this should not worry them one bit. So they began to irradiate our people in Moscow. The Americans did realize it was happening and did nothing about for a decade. The Russians were bombarding our embassy with microwaves for 40 years beginning in 1952 during the Cold War to prove a point to the dogmatic American scientist. They decided to do this because American scientists ridiculed the Russians they began beaming microwaves at the embassy employee’s below the American Schwan guideline in America of 10,000 milliwatts. They decided to prove to the Americans how wrong they really were because they felt non thermal EMF’s could also hurt the rest of the world because of Einstein’s predictions. This was called the “Moscow signal’ in the 1960’s and American scientists picked it up in 1962 when looking for it. An American scientist named Milton Zaret was hired to run Project Pandora to run a secret examination of the effect. When this was all uncovered by the press in the 1970’s in the States, Zaret said they only measured 18 milliwatts of EMF exposure to the ambassadors office. Russian documents, however, showed a different story. They used between 4000-6000 milliwatts, and used that dose on purpose. They made sure to use a dose way below American Schwan standards of 10,000 milliwatts to prove they were good scientists. In the mid to later 1960’s this is when the microwave syndrome papers became numerous in the Russian literature, I read. The things they described were linkages to eye strain, sympathetic overdrive, headache, blurred vision, and loss of concentration and demolished sleep and cold urticaria. There were also quite a few reports of cancer incidence and prevalence raised. Last edited by therival58; 28th March 2019 at 11:52 AM. Even if you cut yourself off from everything that correlates with cancer, you'd still get cancer. Even quantum fluctuations cause cancer. He takes a look at technology? Is he qualified? There is this little thing called the "inverse square law" that applies to RF radiation. The level of RF radiation you receive from a tower is inversely proportional to the square of your distance from the tower. Whatever RF level you are receiving at 1ft, at 2ft you are receiving 1/4; at 3ft = 1/9th; at 4ft 1/16th. By the time you get 100ft away (the minimum height of most cell towers ) you are receiving 1/10,000th of the level, and this is not even taking into account that the radiating elements of the antenna are designed so that their propagation lobes radiate outwards, not downwards. Its important to understand that when you are carrying your mobile phone, most of the RF energy of the mobile network that hits you is not the downlink power (cell-tower to phone), but the uplink power. You are a lot closer to your phone than you are to the cell-tower. Its also important to understand that your phone will be exposing you to more RF if it is trying to reach a cell-tower a long way away because it needs to search and interrogate more often. If you've ever had your cellphone close to an AM or FM radio, and heard that "dididit dididit dididit dididit dididit dididit" sound, that is your cellphone trying to establish contact with a cell-tower; the more cell-towers there are, the lower the total amount of RF radiation you receive from your phone because it doesn't have to do this as often..
Last edited by smartcooky; 28th March 2019 at 04:52 PM. ...........Agreed. That's why I never quit smoking. You gotta die of something, may as well look cool while doing it! 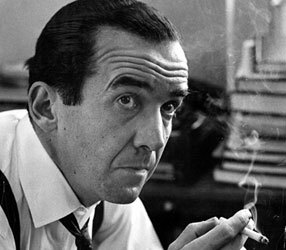 Do you by chance look like Edward R. Murrow ? ... or Rod Serling ? Last edited by Skeptical Greg; 28th March 2019 at 05:50 PM. Absolutely Right! But, of course, the idea of cell phone towers scares people a lot more than the thing they hold in their hand. Kind of a Tower of Mordor thing I suppose. It's a TOWER! Flying's easy. Walking on water, now that's cool. Has anyone studied the impact of the EMF dosage on metabolism? Was this part of the study? It's high enough that they might need to adjust the feed calories downward or environment temp during exposure periods. Needs to be a metabolic study. Do rats and mice exhibit different tumor stats when kept at different temps? It's a modern shortcut. The rats are genetically predisposed towards developing cancer. Pretty much any environmental changes will be represented in different rates of cancer. The hard part is working out if the changed rates are meaningful.